President Trump's Homeland Security Adviser, Tom Bossert, joined Sarah Sanders today to deliver an update on Hurricane Irma and the recovery process in Texas. 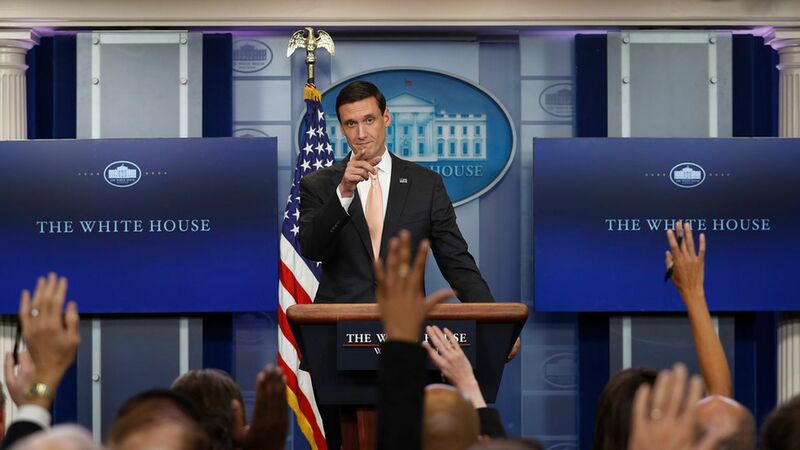 Bossert told reporters that President Trump will likely sign the Harvey aid package today, adding that the White House also expects to ask Congress for more money for disaster relief in the future, on top of the new funds approved by the House today. The U.S. will evacuate people in the U.S. Virgin Islands and St. Martin. Some point people will be on their own, likely for 72 hours. Worst case scenario: If the storm "dips down, moves west, and curls around the other side of the state." Florida residents should plan to be without water and power for days.